This is a fabulous piece. The scent bottle was made during the Art Deco period by the Czech company HEM. 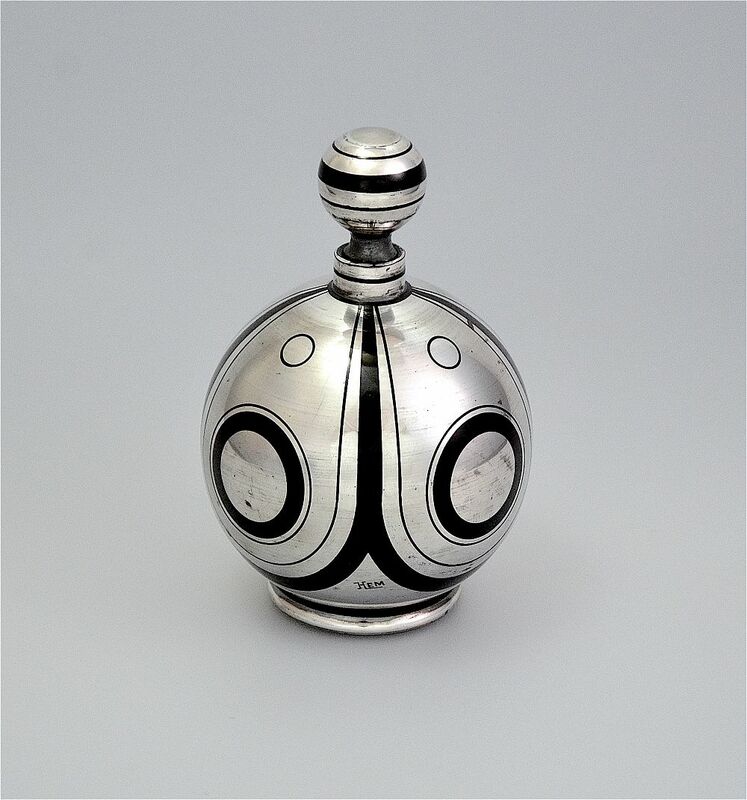 The round foot is overlaid with silver and supports the round bottle which is predominately overlaid with silver in a geometric pattern. There is a small neck to the bottle and the round stopper is also predominantly overlaid with silver in a series of bands. It is signed "HEM" There is the number "1"painted in silver on the base of the bottle and the bottom of the stopper. We have had larger pieces of HEM but sometimes the smaller pieces are the most spectacular.